Moore Research Center, Inc. (MRCI), an authority in statistical trade research, features approximately 30 Monthly historical trading strategies for outrights and spreads from a variety of the major commodity markets. MRCI bases its research and strategies on the last 15 years. From that, seasonal trades are chosen as much as 3 months prior to publication in the monthly report and as much as 12 months prior to their seasonal entry date in special reports. These are all at least 80% historically reliable* and are presented with specific entry/exit dates. *PLEASE NOTE: PAST PERFORMANCE IS NOT INDICATIVE OF FUTURE RESULTS. With not only current data for both implied and historical volatility across the spectrum of markets but also historical reference for the “norm” in both pattern and level of volatility, traders may more easily identify and exploit “mispriced” options and abnormal situations, plan strategy, and hedge risk. A one year subscription to MRCI Online costs $379. Learn, Analyze, and Trade MRCI Recs with Daniels Trading! Daniels Trading is the place to learn about seasonal futures and futures spread trading. Do you prefer working with a broker? Daniels Trading brokers have a level of competence, understanding, and execution that is distinctive in the futures industry. For those new to futures spread trading, a Daniels Trading representative can help you learn about MRCI, futures spreads, and will show you to use our online trading platform too! 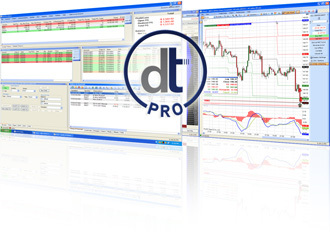 Our dt Pro platform is great for online spread traders looking for a high tech platform that also has SPAN margins, futures quotes, and futures spread charts.